Alcatel has announced three new smartphones: the Idol 2, the Idol 2 Mini and the OneTouch Pop Fit. The Alcatel Idol 2 has a 5.0-inch 720p IPS display, 1.2GHz quad-core processor, 8 megapixel rear camera, 1.3 megapixel front camera, NFC, LTE and Android 4.3 (upgradable to 4.4) in a 7.3mm body. The Idol 2 is priced at €199 and €249 for the 3G and 4G models, respectively. The Alcatel Idol 2 Mini has a 4.5-inch qHD display, 1.2GHz quad-core processor, 8 megapixel rear camera, 2 megapixel front camera, NFC, LTE and Android 4.3 (upgradable to 4.4) in a 8.5mm body. The Idol 2 Mini is priced at €169 and €209 for the 3G and 4G models, respectively. 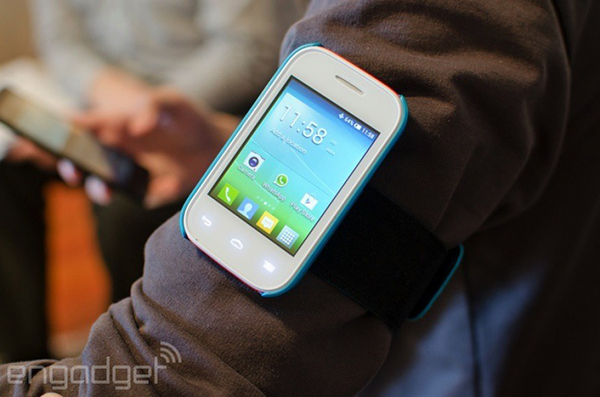 Lastly, there is the absurdly named OneTouch Pop Fit wearable smartphone. It has a 2.8-inch QVGA display, 1GHz dual-core MediaTek processor, 512MB RAM, 16/32GB internal memory and a 1,000mAh battery. The phone comes bundled with five back covers in black, blue, pink, yellow and red, semi-transparent flip cover, armband case and JBL earphones. 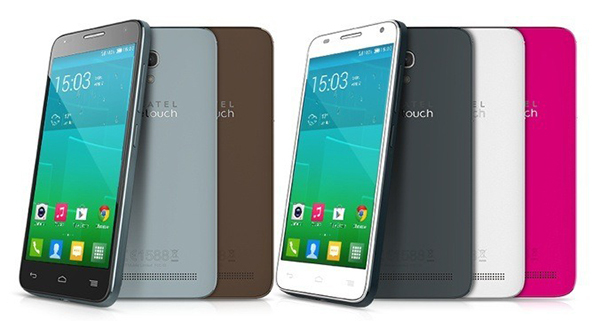 The OneTouch Pop Fit is priced at €89 for the base model. LOL? many runners was doing what you saids homie, phones, ipods or even a portable radio player..
really who the hell would wear the phones on their arm... lemme think, um everyone who's exercising duh!, people should really think before they write seriously, don't you see all those people jogging and working out with them shiets? Who the hell would wear a cell phone on their arm? It's not even that discreet, and it's not like you can look down to check anything. You're literally just sparing your pocket some space.